COMING JUNE 2015 from Farrar, Straus and Giroux. Ingrid Palamede never returns to places she’s lived in the past. For her, “whole neighborhoods, whole cities, can be ruined by the reasons you left.” But when a breakup leaves her heartbroken and homeless, she’s forced to return to her childhood home of Fresno, California. Back in the real wine country, where grapes are grown for mass producers like Gallo and Kendall-Jackson, Ingrid must confront her aging parents and their financial woes, soured friendships, and blissfully bad decisions. But along the way, she rediscovers her love for the land, her talent for harvesting grapes, and a deep fondness and forgiveness for the very first place she ever left. 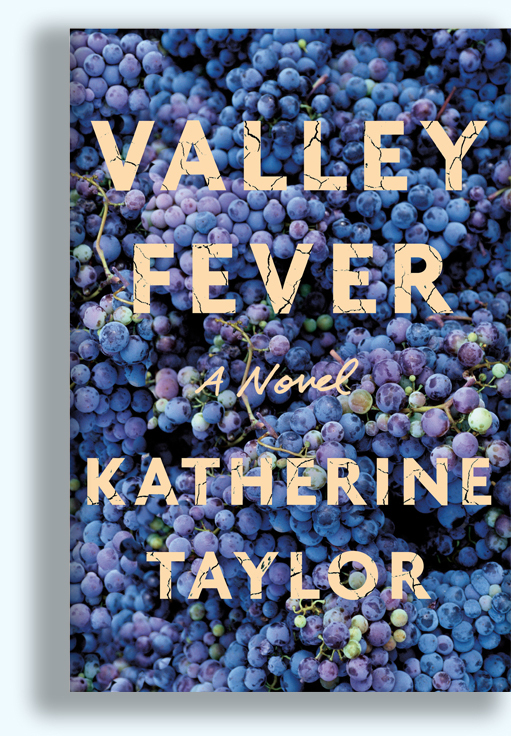 With all the sharp-tongued wit of her first novel, Rules for Saying Goodbye, Katherine Taylor examines high-class, small-town life among the grapes—on the vine or soaked in vodka—in Valley Fever, a blisteringly funny, ferociously intelligent, and deeply moving novel of self-discovery.